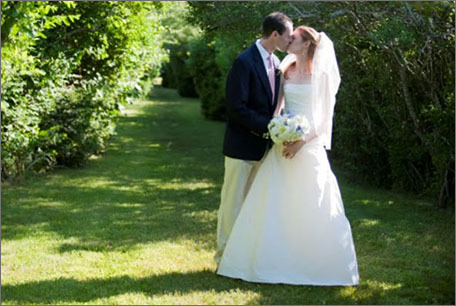 ith our magical island as your backdrop, Unique Nantucket will combine the mystique and lure of a historical setting with creative and personal detail you deserve for your Nantucket wedding or event. With so many venues to choose from, whether an upscale formal gala or a simpler barefoot on the beach celebration, we will work closely with you to provide a lifetime of memories. The Wade Cottages were built as a private estate in the late Twenties by the Wade family, and members of the family are still owners. The cottages incorporate furnishings and structures that date back to the 1800's. 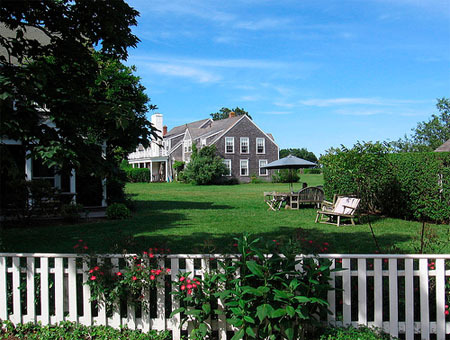 Our cottages are among 'Sconset's very few public accommodations, and they maintain the graciousness and informality of the village's summer homes. The Wade Cottages stand at a confluence of nature and history preserved. Clustered mainly on 'Sconset's North Bluff, the cottages and their spacious grounds look due east, over virgin dunes, our beach and the open Atlantic. Immediately to the south lies the historic center of 'Sconset and its famous centuries-old fishermen's cottages. The village restaurants and stores are a short walk away. David and Geoffrey returned to Nantucket and took over the operation of the restaurant from their mother in 1996. Changing the menu to coastal cuisine with a focus on locally caught fish along with locally grown vegetables and herbs. Gourmet Magazine, Cape Cod Life, Vanity Fair, the Oprah Winfrey show and many more have recognized Galley Beach. Always one of the highest-ranking Zagat rated restaurants on the East coast, it comes highly recommended by locals and summer residents alike. Still on any given day you may bump into several people of interest among the diners. Most recently Robert De Niro, Steven Tyler, Catherine Zeta-Jones, Michael Douglas and President Clinton have all dined here and enjoyed the coastal cuisine of Chef W. Scott Osif. Galley Beach underwent a multi-million dollar renovation in 2008 while retaining the charm of 1920’s Nantucket beach architecture by reclaiming materials of the old building. With the help of David's wife Eliza Silva, they rejuvenated Galley Beach by adding a zinc beach bar, roofing over and heating the once tent covered dining room as well as adding classical and chic details such as the barista bar and outdoor beach lounge. We welcome you to our restaurant that is rich in history, but continues focusing on impeccable service, award winning cuisine and its beach chic atmosphere.